Since the Industrial Revolution and the dawn of the Anthropocene, our food system has come to be based increasingly on nonrenewable carbon. As that fuel disappears, we will need new systems to sustain human civilizations. What role do the arts have to play in this new future for food? 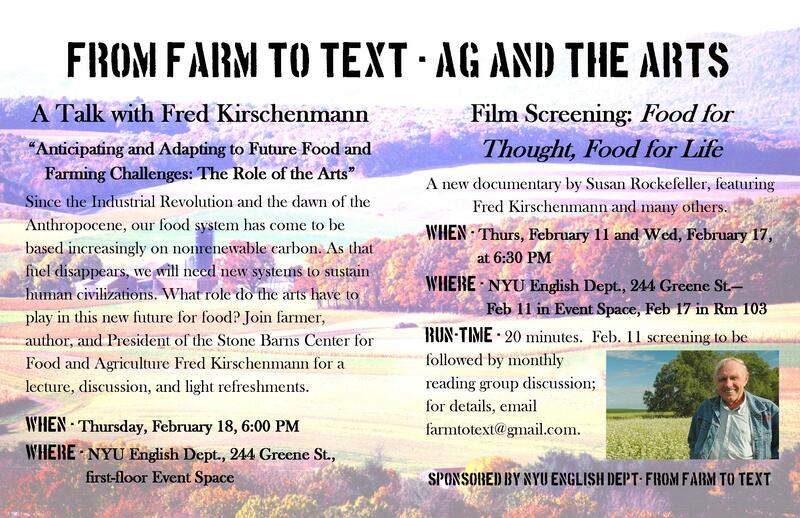 Join farmer, author, and President of the Stone Barns Center for Food and Agriculture Fred Kirschenmann for a lecture, discussion, and light refreshments. 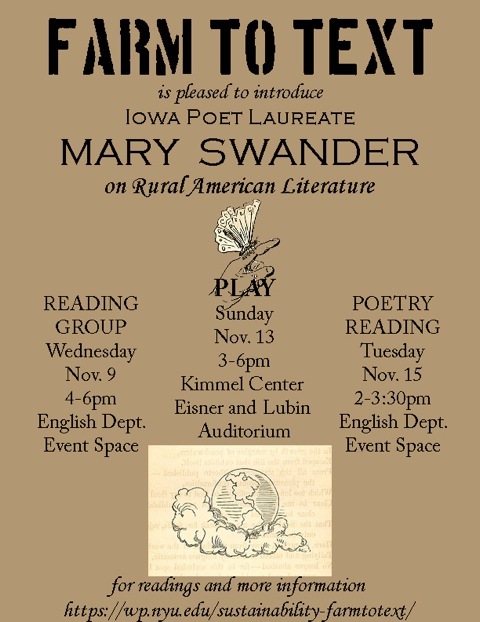 A new documentary by Susan Rockefeller, featuring Fred Kirschenmann and many others. Watch the trailer here. Run-Time – 20 minutes. 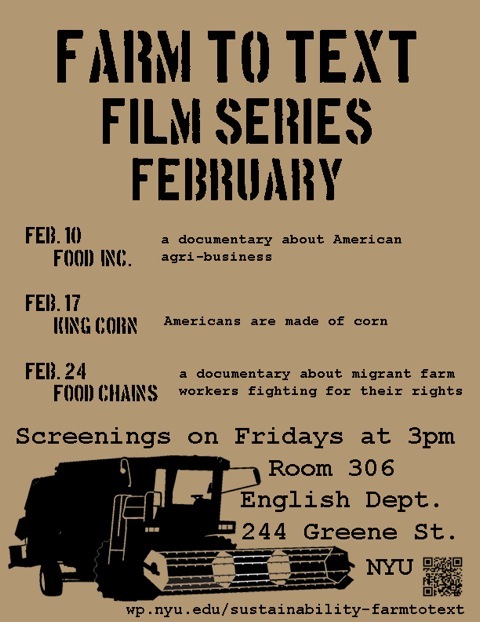 Feb. 11 screening to be followed by monthly reading group discussion; access readings here. 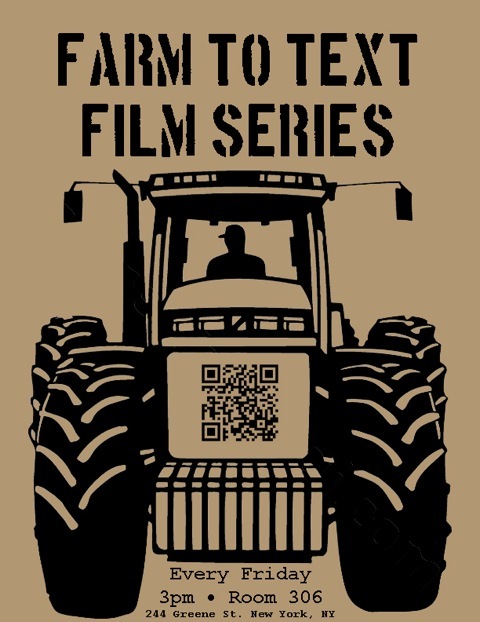 For further information on any of our upcoming events, or to be added to our mailing list, email farmtotext@gmail.com.